The Ontario Multi Municipal Group has issued a public declaration stating it wants the “exploitation” of rural Ontario by the wind power industry, aided by the Ontario government, to end. 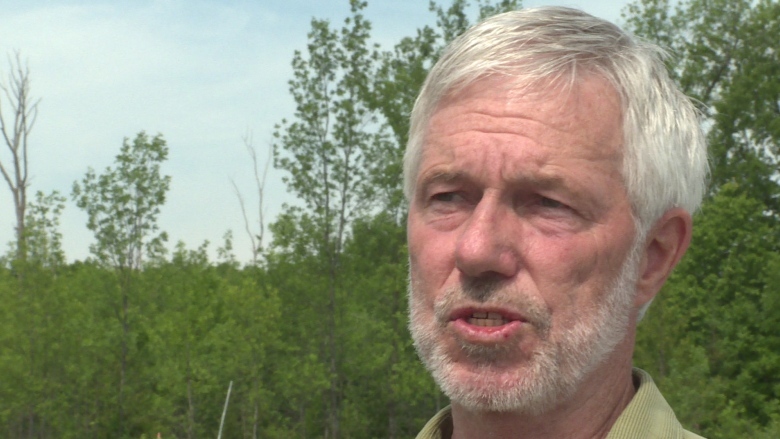 “The implementation and expansion of renewable energy (industrial-scale wind turbines and large solar power projects) has developed to the point that it has caused hydro costs to increase, caused a division between rural and urban municipalities, and caused the citizens of Ontario to lose faith in democracy,” says Ron Higgins, Mayor of North Frontenac, in the document. The municipal group was formed at the last meeting of the Association of Municipalities of Ontario (AMO) after 115 municipalities, or 25 percent of all municipalities in Ontario, passed resolutions demanding that municipalities get final say in the siting of renewable power projects. “We are now speaking out on behalf of all those communities,” Higgins says. In the public declaration document, the group lists the impact of Ontario’s wind power program, saying it has not brought the economic benefits promised by the McGuinty government and in fact has resulted in an economic burden and energy poverty. They also say that no environmental benefit has been demonstrated and that “the natural world is suffering” because of large-scale turbines which are disrupting the natural environment and harming wildlife such as migratory birds and endangered species of bats. Wind power has created “false hope” of steps to be taken to combat climate change and protect the environment, says the Multi Municipal Group. And, the Government of Ontario has ignored knowledge of the negative impacts of invasive wind power technology. The group demands that all procurement of wind power be stopped, and the Green Energy Act repealed. They also recommend that the government base future policies on generation capacity and conservation, and use current energy supply assets. “Our rural communities are unprotected against the exploitation [by] renewable energy,” Higgins concludes. The municipalities have no choice but to declare their position to the government and the public formally. REPOSTED from Wind Concerns OntarioNote that Ottawa is one of the 116 municipalities. The Mayor of North Frontenac has written to Energy Minister Glenn Thibeault on behalf of all the 115 municipalities demanding change to the Large Renewable Procurement process. While relieved the next round of bids is “suspended,” he says, the municipalities say more can be done to stop the dramatic rise of Ontario electricity bills. Mayors across Ontario who united together as a result of a resolution being supported to have municipal support mandatory for industrial wind turbines are relieved that procurement of future wind power has been cancelled for now. The Mayors still feel however that the government needs to take very aggressive actions to address the ongoing crisis caused by high electricity costs in this province. Taking steps to not add $2.45 per month in 2020 does not address the real hardship being felt by our residents now. It is also not clear that the other measures announced by the government will even offset the ongoing increases in hydro rates that can be expected in the short term unless additional changes are made. It was important that the Minster of Energy’s statement confirmed that the province has a “robust” supply of electricity and the procurement process could be cancelled without increasing greenhouse gas emissions. This provides room for more aggressive actions that will address increasing costs. Our tracking of wind turbine contracts shows that there are still many wind turbine projects in the pipeline that will add at least another $7.9 billion to electricity generating costs. This is equivalent to another $82 per annum for each Ontario electricity user. Seven of these projects are under construction but will not be connected to the grid until sometime this fall or in 2017. Another five have not been issued ‘Notices to Proceed’ as they are, or have been until recently, involved in Environmental Review Tribunal proceedings or other legal appeals of Renewable Energy Approvals. The final six projects are in the pre-MOECC submission stage. These include the five contracts issued in early 2016 plus one outstanding project from earlier FIT offers. In all of these cases, the IESO has the option of terminating the agreement for any reason with very limited cost liabilities relative to the 20 year commitment to electricity that is not required. We respectively ask that all industrial and solar wind projects be cancelled to avoid ongoing costs to our residents. If you haven’t seen a washer toss, maybe this is the time! To start LRP II off on a high note- BEARAT is hosting an event on September 4 that is sure to be a lot of fun. We hope you can attend! Subscribe to our email list at the bottom of this page, join our facebook group, or follow us on twitter for more event details to come soon. RSVP to the event and be entered into a draw for an Ipad Mini. Please check back continuously for further information, updates and news about the status of the proposals. Seventy-five municipalities have now endorsed resolutions that call on Ontario’s Independent Electrical System Operator (IESO) to make formal Municipal Support a mandatory requirement in Ontario’s next round of procurement for renewable energy projects. Mayor Ron Higgins of North Frontenac, who put forward a resolution now supported by other municipalities, says making municipal support mandatory is key to fairness in the process. “It will force proponents to seriously address local concerns when developing these proposals, rather than just going through the motions,” he says. The IESO process allowed municipalities to express their concerns about wind power projects but that had little impact on the outcome, Higgins says. In spite of the fact that then Energy Minister Chiarelli said a contract in an unwilling community was “virtually impossible,” three of five wind power contracts were awarded in municipalities that did not support the projects proposed by developers. The municipality of Dutton Dunwich, which also created a mandatory support motion, held a referendum on the wind power project bid there — 84 percent of residents said no. The municipality is now fighting a contract award. Municipalities across Ontario support these resolutions, including former Energy Minister Chiarelli’s home municipality of Ottawa. Municipalities in Northern Ontario also endorse the resolution. The recent Environmental Review Tribunal decision revoking the approval for the Ostrander Point wind turbine project underscores the importance of community input into the process of awarding contracts and approving power projects. The community in Prince Edward County went through two appeal hearings and two hearings in court before succeeding in its goal of protecting the environment and endangered wildlife from a power project. Recent feedback published by the IESO shows that the current bid process was resoundingly condemned by municipal officials and community groups for a lack of openness and transparency.